Cleaning your feet doesn't have to be such a stretch. Shower Feet sticks firmly to the bottom of your shower or bath to make washing your feet easier than ever before. 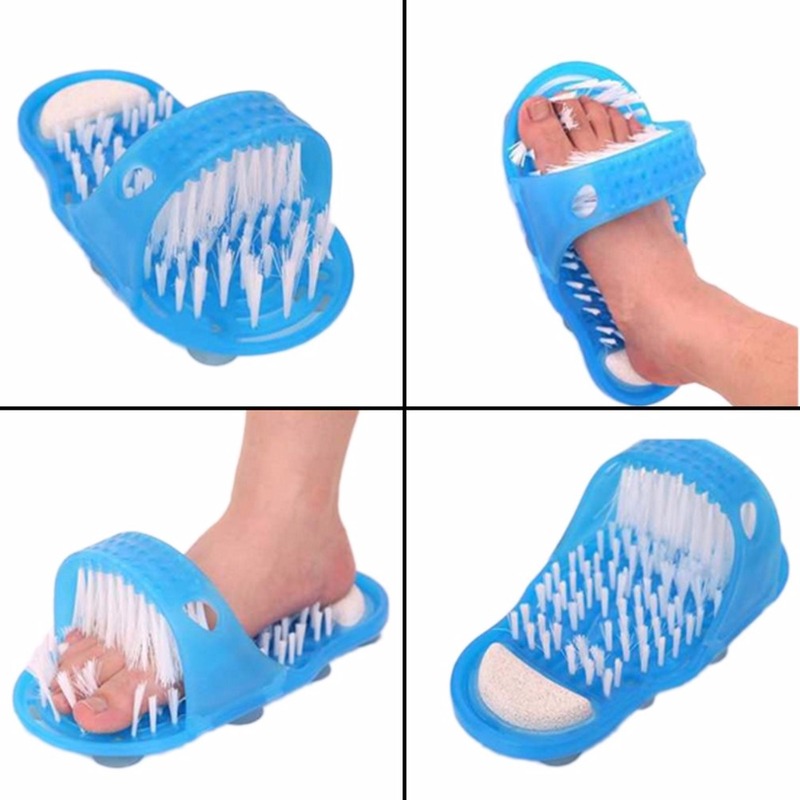 This cleansing shoe uses over a thousand soft bristles to give your feet an exfoliating massage from top to bottom. The bristles are great at getting in-between your toes and there's a pumice stone in the heel, so you can smooth away dry and damaged skin. It's designed for feet of almost all shapes and sizes and attaches to most surfaces. Refreshing and revitalizing your feet has never been so easy and felt so good.